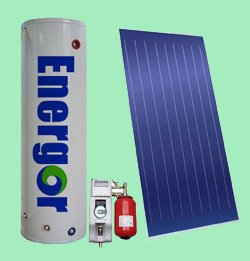 The separate solar water heater is an active system, because it uses a pump with a controller to circulate the fluid between the heat pipe series solar collector and the storage tank, tank and solar collector are separate, while the collector is integrated in to the roof of the building, the tank and the pump station can installed anywhere of the building. The piping between the main components is made of brass and a special insulation with high temperature resistance for solar systems. 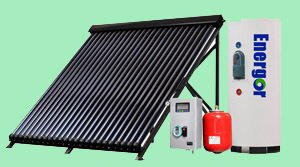 Integrated type solar water heater, we adopt the Sectional Metal Heat-pipe Vacuum Tube to absorb the Solar Energy, creationary change the way of the traditional solar water heater’s transfer heat , through the change heat twice , run with the high pressure, so the water became hot is much more fast, and the range of application is much more wide. 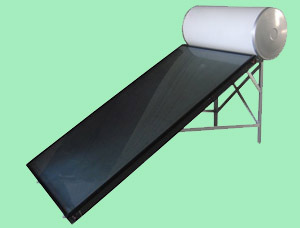 The absorption board core, which is coated with selective absorption layer, can absorb the solar when the sunlight across the cover plate of toughened glass and transmit it into heat then the heat transferring medium in the collector will be heated and the temperature will be increased. 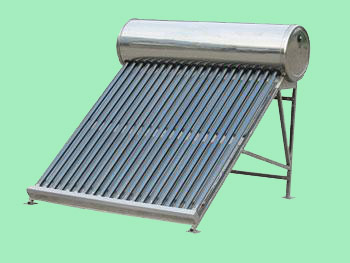 Flat plate compact pressure solar water heater consisted of solar collector, storage tank, solar controller and roof bracket. In this "close-coupled" system the storage tank is horizontally mounted immediately above the solar collectors on the roof. No pumping is required as the hot water naturally rises into the tank through thermosiphon flow.